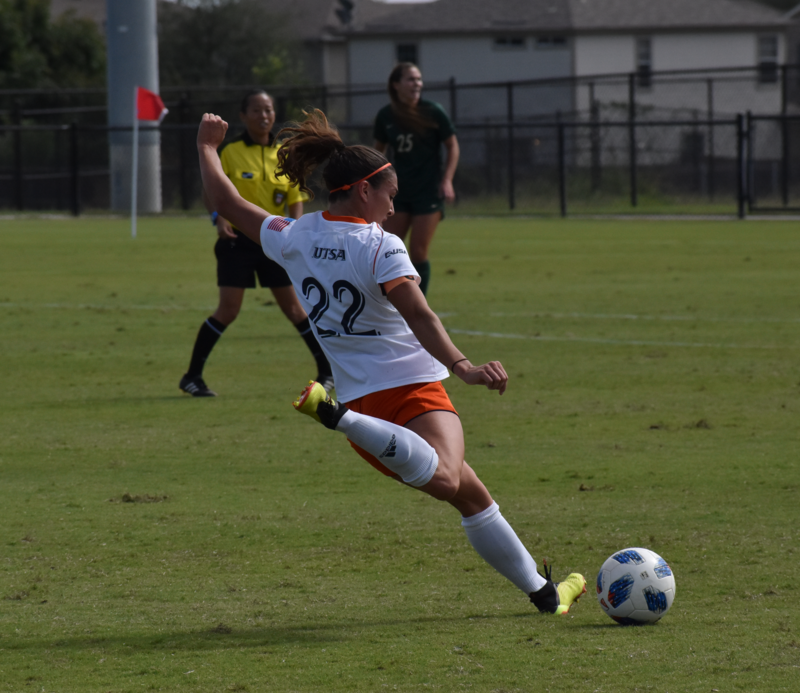 UTSA soccer finished the 2018 season with a 0-0 draw at home against The University of Texas at El Paso Miners, making their season record 6-9-2. One-hundred-and-ten minutes of soccer was not enough for either team to net a goal. As seniors Michelle Cole, Melissa Finley, Rebekah Kensing, Olivia Nicholls, Channing Machen and Brittany von Schneidau played their final game as Roadrunners on Friday, Oct. 26. The ‘Runners’ six wins was a twofold improvement from last years record of 3-14. However, due to poor conference play, the team finished 13th in Conference USA, compared to last year’s 12th. 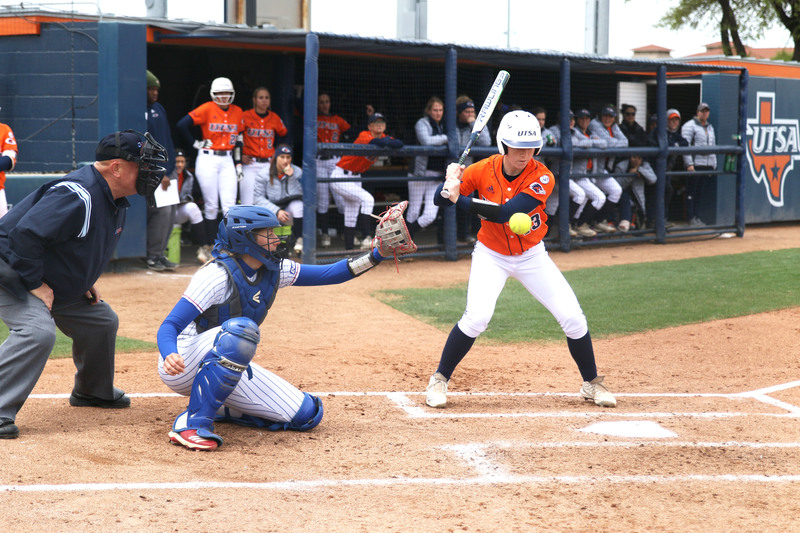 UTSA began with a strong start, taking two shots in the first five minutes, but UTEP picked up the momentum with an offensive try of its own. However, a foul and an offsides penalty in the ninth minute gave the Roadrunners the edge, but the Miners put in some subs that brought new life to their game. A shot by UTSA forward Lexi Bolton in the 33rd minute, and a corner kick by midfielder Rebekah Kensing in the 37th minute was followed by more substitutions and neither team could strike for a goal before the halftime buzzer. The second period began with three quick fouls for the Roadrunners, but they cooled down heading into the 60th minute with corner kicks by Bolton and Kensing as well as shots by midfielders Katieann Lochte and Channing Machen, both of which missed high. UTSA maintained this momentum for the remainder of the period, with shots from Ellis Patterson and Jordyn Lacy as well as the previously mentioned Lochte, Bolton and Kensing. The Roadrunners failed to capitalize on these opportunities as the game went into overtime scoreless. Marianne Hernandez going head first for a ball. The first 10-minute overtime began with a UTSA foul and an unsuccessful UTEP corner kick in the 93rd minute. 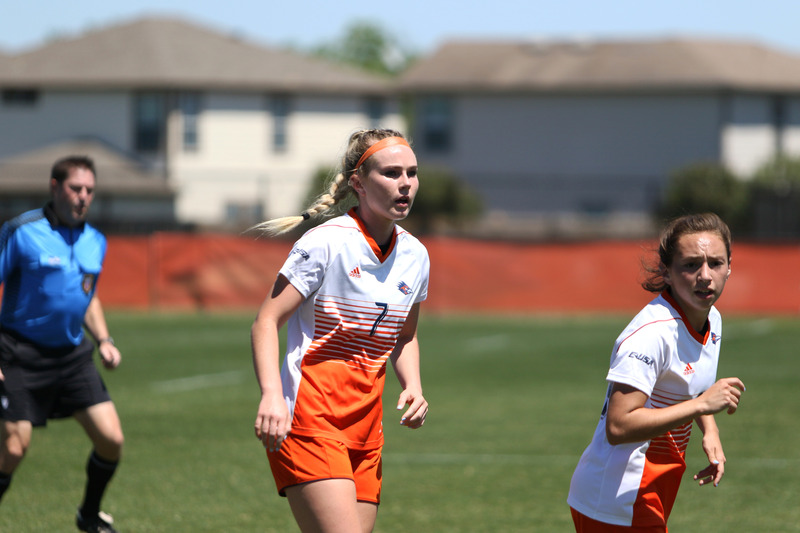 A shot and corner kick both by Lexi Bolton in the 94th and 97th minute failed to secure the win for the ‘Runners as the first overtime failed to declare a winner. A second overtime ensued, beginning with another shot and corner try for UTSA, this time by Ellis Patterson and Rebekah Kensing, respectively. Both teams made substitutions in the 105th minute to prepare for the final opportunities to avoid a draw. Kensing’s corner kick to Melissa Finley in the 108th minute missed high, and the game ended with no goals scored and no winner. Although they haven’t gained a winning season since 2010, the UTSA soccer team is moving in the right direction. In his first season at UTSA and 18th as a coach, Derek Pittman showed leadership and resolve at the helm of the team. Sophomore Ellis Patterson led the team in goals and points, Cole made 62 saves and allowed an average of 1.53 goals per game. Although they won’t be participating in the 2018 Conference USA Championship Tournament, the Roadrunners showed promise this year and look to continue improving next season.